Sunshine, warmth, spring weather – my favourite time of year. An adventure in Lower Silesia, falling in love with Poland all over again. An early morning train from Wroclaw to Walbrzych Miasto, which I thought I was going to miss, but the tram to the train station was waiting for me when I got to the stop. A little detour when the bus I caught didn’t go where I expected, taking me to some beautiful old farm buildings, and the tail end of a traditional Polish Easter egg blessing ceremony, with everyone carrying their baskets through the streets. An unplanned visit to a palm house, featuring cake in a secret hideaway, and bonsai trees. A walk across a field and through a forest. A stunning view of Książ Castle, the third biggest in Poland. Time to wander around the castle and explore its fascinating history, including the amazing collection of photographs taken by the French chef who worked there in the late 1800s and early 1900s. A description of seasons in Central Europe which perfectly matches my feelings about them. Deliberating sitting and being, not just taking photos. A walk around the terraces of the castle, with very pleasing flowerbeds. Smooth connections to Świdnica, with a few minutes to spare in Jaworzyna Śląska to pop into the church. The genuine peacefulness of the Peace Church of Świdnica. The ingenuity of the architects who created the whole thing out of wood and decorated it lavishly, despite the restrictions placed upon them. A pulpit with hourglasses to time the preaching. Sitting on a bench in the cemetery outside chatting to mum, drinking in the view of the church. A delicious Polish dinner of trout, potatoes and surowki (cabbage salad) in the square of Świdnica. Wildlife throughout the day: buzzards, a red squirrel, deer, collared doves, a goldfinch, a chaffinch, storks and bats. A gorgeous sunset to watch on the train back. The carillion of bells playing in the church near my apartment as I write this. Time to write a blogpost to capture it all. Being present. Savouring the moment. 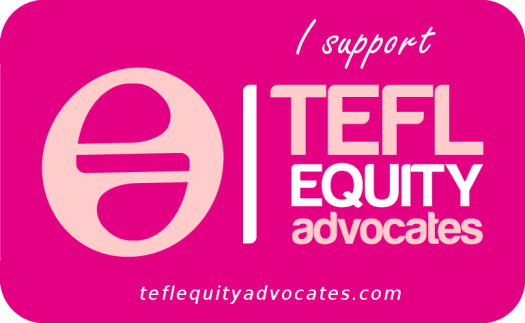 I’m very proud to be one of the TeachingEnglish associates, a group of wonderful English teachers from around the world. 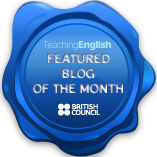 Each month a series of topics is posted on the blogs section of the British Council TeachingEnglish site, which everyone is invited to write about, including you! Anyone is welcome to join in. If you haven’t tried blogging before, why not give it a go? To inspire you, the associates offer their takes on the topics. My most recent contribution is about combining being part of the online community (if you want to) and reflecting on what’s happening in your classroom. What do you think? 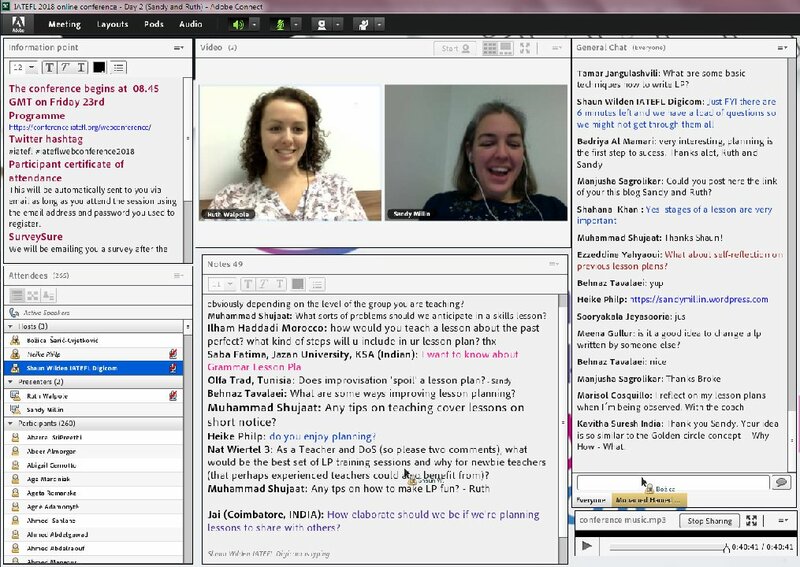 Is it key to be part of an online community to develop professionally as a teacher nowadays? In this blog post I am going to attempt to answer these questions. I think the learning process is the same regardless of what skill it is you’re learning, whether that be English, how to teach, or how to tie your shoelaces. Sometimes you can skip through stages 2-4 pretty quickly, and sometimes you get stuck at one of those stages for a long time without feeling any progress. However, with perseverance, motivation, practice and time you can get to stage 5 with anything you truly want to learn. Support, guidance and input can help you get there faster, but none of them are essential, not even for getting from stage 1 to 2: if you pay attention to the world around you, you can notice the existence of things yourself. Of course ‘English’ and ‘how to teach’ are both huge concepts, and should be broken down into many smaller concepts. The degree to which you break them down when using this metaphor is entirely up to you, dependent on who you are talking to and why. Below are a few examples. Monitoring for task completion, and adjusting tasks accordingly. Including peer checks consistently between individual and open class work. Clarifying the meaning of new vocabulary/terminology efficiently and concisely. In contrast, I would expect a teacher with some prior experience before the course to be at at least stage 2 in all of the above areas when they join the course, or even stage 3, and at stage 4 by the end of the course. Realistically, on a pre-service course with only six hours of teaching, six of observation, and 120 of input, I think it’s very difficult to reach stage 5 in any of these areas if you’re starting from scratch, though some Pass A candidates may manage it in some areas. Getting and maintaining attention while giving instructions. Showing the materials to be worked with to help students follow what you’re saying/doing. Working through an example for unfamiliar task types. Getting a student/pair/group to work through an example in open class. By the end of their first year, I would expect teachers at our school to be at stage 4 or 5 in all of the above areas. Teaching 121 students in a way that differs from their approach to group classes. Conducting a needs analysis and acting on it. Managing a classroom of teen students. Assessing learner progress within levels that they are familiar with. Varying the pacing of a young learner lesson to keep students engaged throughout. As far as I’m concerned, all of the examples above are connected to the skill of teaching in general, and would be equally applicable to an EFL teacher, a Maths teacher and a History teacher. When it comes to learning any language, I think the five stages are the same. As I learn other languages and notice my own learning process, I can feel myself going through the stages for different aspects of the language. Knowing when to use third person -s.
Choosing between the present simple and the present continuous. Selecting the correct article in a given context. Knowing whether a noun is masculine (animate or inanimate), feminine or neutral. Associating case endings with prepositions. Deciding whether an action is seen as complete or incomplete (perfective or imperfective), and choosing the correct verb form. Understanding the relationship between yourself and your interlocutor, and choosing appropriate forms of address or vocabulary to reflect that. Not worrying about whether you understand everything in an informal conversation, but joining in when and where you can. Letting yourself read for reading’s sake in your L2, not just to list the vocabulary that you encounter. By showing teachers my breakdown of the learning process, and by encouraging them to learn languages and experience it themselves, I try to help them see that regardless of what they do in the classroom, students still need to go through the stages at their own pace. Classroom learning can speed it up in some cases, by providing input, guidance, a supportive environment, opportunities for practice and a time and space for language use, but ultimately, nobody can learn faster for their students – they have to do it themselves. This is true of any subject, not just English or languages. We use coursebooks for most of the classes at out school. We aim to maximise the amount of speaking that students do through careful lesson planning, and the coursebooks we use help us to keep the range of input high across the school, by ensuring that a certain amount of content is touched on every year. I do not see a coursebook as a ‘chain‘ to be freed from, but rather as a skeleton structure to base our teaching on which forms part, though not all, of the students’ learning. A large majority of our students join groups at the school as near or total beginners, and progress through 8 years of study culminating in them successfully passing the Cambridge First (B2) exam. A handful of them get there a little slower, repeating a level or two if they’ve really struggled. Some of them get there faster, through increased exposure outside the classroom, particularly if they are teenagers who watch a lot of English-language films/series/YouTube videos or play a lot of computer games. That’s not to say that students couldn’t all reach that level of English much more quickly and efficiently, but that requires a level of motivation, self-discipline and exposure to the language that few people have. Despite being highly motivated to learn languages myself, I have sometimes found in the past that attending regular classes was necessary to make sure that I studied in between – I didn’t need to learn much in the classes, but I did need somebody to be accountable to for my learning, and I’m sure I’m not alone in this. For one-to-one and company classes, I point out to both teachers and students that despite having a coursebook, they are under no obligation to go through it from cover to cover. In fact, one of the first things we suggest teachers do with a new student/closed group is to take the contents page of the coursebook and ask students what they do and don’t want to look at, and what else they would like to do that isn’t in the book. I regularly remind teachers that there are certain grammar points that it’s not worth getting het up about, as students will internalise them (get to stage 5) much later, even if they’re ‘taught’ much earlier by coursebooks. For Polish learners of English, all three of the grammar points I selected above fall into that category as there is no corresponding structure in Polish. It’s important for everyone to remember that teaching does not necessarily equal learning, and you never know exactly what a student will take away from a given lesson. Having said that, they should always take something away from the lesson, otherwise there was no point to them attending! […] students don’t learn a second or foreign language by being led through the units of a coursebook like this – language learning simply doesn’t work like that. We know that two 90-minute lessons a week alone does not create high-level users of English, and we show teachers as many ways as possible to encourage students to practise and use the language outside class. Some of these ideas include borrowing books from the school library for extensive reading, listening to podcasts for extensive listening, using websites like Quizlet and Memrise to increase vocabulary, and doing something in English for 5 minutes every day, regardless of what it is. 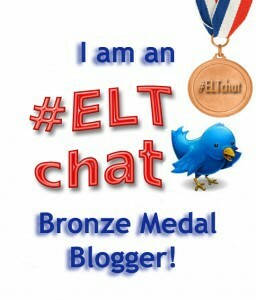 We also encourage teachers to share their own experiences of what has and hasn’t worked for them as language learners. I endeavour to remember to remind teachers (I’d say I’m at stage 3 for this!) that if they have chosen to ‘cover’ a particular grammar point, range of vocabulary items, aspect of a skill, or language learning technique, at any given time they will probably have students at all five stages of the learning process for that thing. They need to adapt the lesson accordingly, and remember not to get frustrated if they have students at stage 1, even if they ‘did this last year’ and at stage 5, who don’t really need more input on it. This is still something I sometimes find challenging as a teacher. Working with the same teachers consistently in collaborative planning meetings at our school, I try to put this into practice. I encourage teachers to get students to show them what they know first, rather than automatically assuming that an item needs to be presented/covered at this particular level. 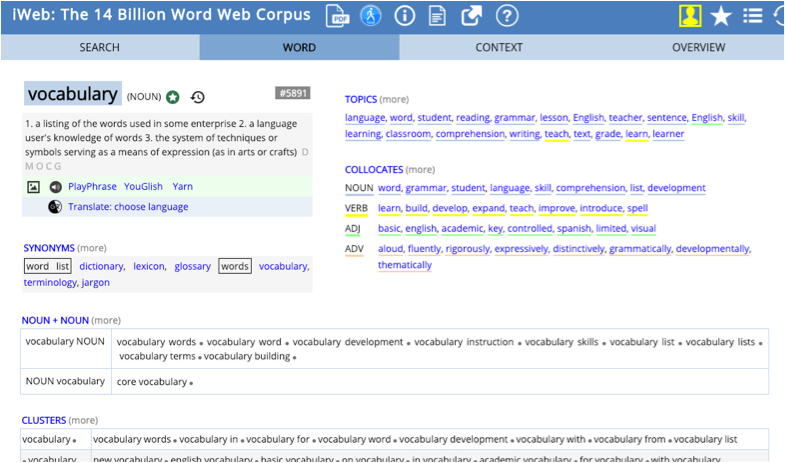 Examples of ways students can show their knowledge include doing a gapfill for homework before the lesson, saying all of the words in a vocabulary set as quickly as possible with their partner or completing a task at the start of the lesson. I then show teachers how to notice problems students are having and how to deal with them. I have found that monitoring for language output is an especially difficult skill for new teachers, particularly when all of the students are speaking at once and it can be a challenge to tune in to individual voices. In our collaborative planning meetings, we come up with ‘monitoring tasks’ to help the teacher direct their focus, and we anticipate areas which students might have trouble with. Here’s an example from one of last week’s meetings, working with pre-intermediate students from English File Pre-Intermediate 3rd edition. 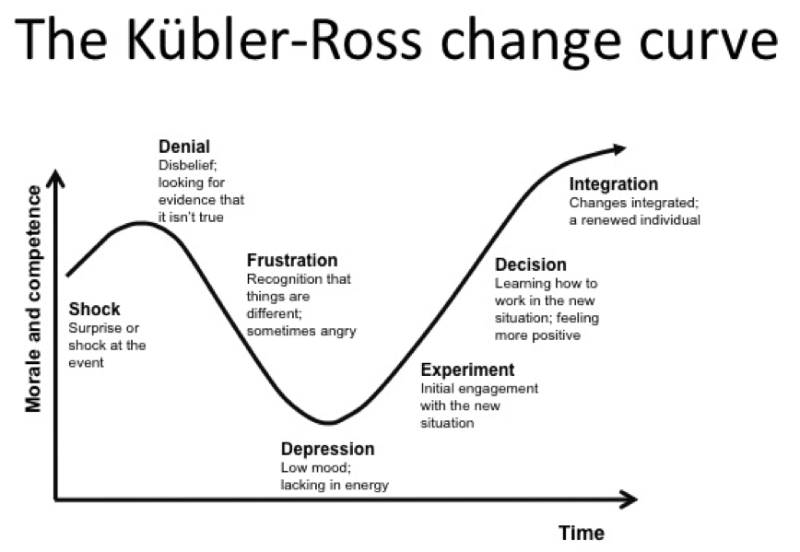 I’m trying to learn more about task-based learning, and share this with teachers (again, I’m at stage 3 of this!) – this is an example of how I’ve interpreted it, using the task in the coursebook to provide scaffolding and examples of language which a teacher might listen out for during the initial attempt at the task. Students do tasks 6a, 6b and 6c. Monitoring task: listen for use of the past simple and whether students are actively showing interest in what their partner is saying. Make notes on a Word document. If students had few problems with the past simple, display the Word document on the board, elicit corrections and reasons for why that language was incorrect/unsuitable, and supply any language students were lacking. Complete a story-based exercise from the book where they choose which form is correct. Write ten key words from the story and retell it. Monitoring task: notice problems with the past simple forms from the story (this is easier than in task 6, as there is a more limited range of forms which may come up, so teachers are more likely to spot them). If students had lots of problems with the past simple, read about two people’s holidays and complete the associated tasks from the book. Use the examples taken from the text to notice the grammar rules. Complete one or both of the controlled practice exercises, depending on the students’ needs and how much they seem to understand. 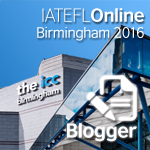 Work on the pronunciation of -ed endings using the coursebook, if necessary. Display the Word document, as above. If students were showing interest in what their partner said without any trouble, fine. If not, introduce and drill the phrases from the green box shown above. Elicit a few other follow-up questions that could be asked or statements that could be made. All students repeat task 6 as the final stage in the lesson, this time as an assessment – in theory, they should all be better this time round. 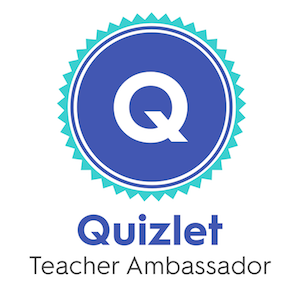 I told the teachers what aspects of speaking to assess here, and gave them tips on how to assess 12 students simultaneously over the course of about 10 minutes. This lesson plan is not perfect (no plan is). However, I am confident that the teachers will be able to teach it, and that all of the students in the classroom will learn something from the lesson. The aim of the lesson is not to ‘teach the past simple’, or talk about it, but rather to improve students’ ability to ask and answer questions about holidays they have had. I would say that I am an intermediate to upper intermediate level teacher (if you take language levels as a guide), and a pre-intermediate to intermediate trainer (thank you to Geoff for stating that I am a ‘top teacher trainer’, but I certainly don’t believe this! ), and that I still have plenty to learn. The day that I feel that I’m ‘finished’ as a teacher or a trainer is the day that I leave this career. Even after ten years of teaching, I still don’t always feel that my students have learnt as much as they could have done in a non-coursebook lesson – both of my groups this year are non-coursebook-based, to push myself to develop in this area. I certainly know that having used coursebooks over a number of years, I have a much clearer idea of what to expect of students at different levels, and what is often far beyond their abilities. That doesn’t mean I won’t try to teach them some of those ‘higher-level’ things – that might push students from stage 1 to 2 after all, or provide the i + 1 that Krashen proposes, or help them get into Vygotsky’s ZPD, if my understanding of those concepts is correct. Rather, I don’t agonise over something ‘above their level’ if they haven’t managed to pick it up by the end of the lesson or remembered it next lesson. Looking back at Geoff’s questions, I know next to nothing about different types of syllabus, despite having read Syllabus Design [affiliate link] as part of my Delta, and having to justify the kind of syllabus I came up with for my extended assignment. I’m not sure there is an ideal kind of syllabus anyway as learners can only learn what they’re ready to learn, and I’m unlikely to be in a position where I create an entire syllabus any time soon. I don’t feel in any way qualified to recommend a particular type of syllabus to another teacher, as I feel that teaching should be at the point of need wherever possible, despite what I said about coursebooks above. I’m not entirely sure which methodological principles I discuss with teachers either. I’m not sure I necessarily recommend any in particular either, though you may be able to spot some that I can’t in what I’ve written above. I know a little about second language acquisition, through theoretical modules during my university language study, reading How Languages Are Learned [affiliate link], and many many hours spent learning a range of languages myself to a greater or lesser degree of success using a wide range of techniques. I try to take that into the classroom and the training room, partly by reminding students and teachers that learning will happen when you’re ready for it, but that we can try to create the conditions for it, for example by providing more ‘hooks’ to help it stick for longer. As I mentioned above, patience, time, practice and motivation are the key ingredients. 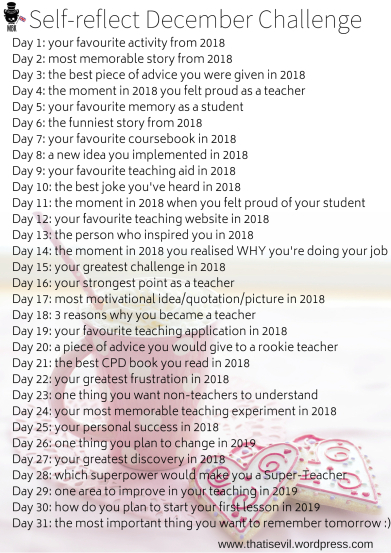 Everything that I have written here is based on my own experience as a teacher, trainer and language learner, and my (all too limited) reading. Limited as I’ve only been teaching for ten years, always in private language schools, and the resources I have access to are those at the schools I’ve worked at, those online, and those I have paid for myself. I am grateful to all of those people who are trying to share teaching research more widely, making it more accessible for people like me. At some point in the future I will probably do an MA, but that requires time and money which I don’t have at the moment. I look forward to being able to access and evaluate more of this research myself. I strongly believe that the most important thing I can do in a classroom is provide a supportive space for students to learn, regardless of whether they are learning a language or learning to teach. When training on pre-service courses, my focus is on reflection: being balanced in your assessment of your own teaching, identifying areas you can continue to work on and thinking about how, and areas which are already fine that you can endeavour to repeat and build on. When in the English classroom, my focus is on experimenting with producing and understanding the language, trying things out, and ironing out problems. Whatever they’re learning, I try to help trainees/students to see the gaps in their knowledge, and improve their confidence with what they know. 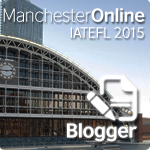 I hope that what I share with the teaching community reflects the ideas I have described here. I would never pretend that I am teaching them teaching or teaching them English, but rather that I am one small piece in the puzzle that can help them reach their final goal. Ultimately, what they take away from my lessons is entirely dependent on what stage they are at in their learning and is up to them. Geoff, I hope that goes some way towards answering your questions. I wanted to share an example of one of those things which felt really stupid and unprofessional at the time, but which over time has just come to be a good story to tell. When I was at university studying languages, I spent my third year abroad working as a British Council teaching assistant. In Paraguay, that meant working as a full-time teacher in a private language school. The school had two possible time slots for afternoon kids’ classes. I can’t remember which way round the days were, but it was something like 3:00-4:30 Monday and Wednesday and 3:30-5:00 Tuesday and Thursday. A couple of months after I arrived I was asked to cover a kids’ class, the first time I’d taught anyone under the age of about 16 there. I was really worried about my lack of experience, and asked the head of teacher training at the school to help me. She gave me a series of activities and worksheets to fill the lesson, and explained how to set them up. When I got into class, everything went really well. The kids were engaged, and they worked through all of the materials successfully. We got to the end of the lesson and I let them all out. I’d made a mistake with the time, and let them out at 4:30, not 5:00 as it was supposed to be on that day! Because they’d completed everything, I didn’t check the time carefully enough and assumed it was the end of the lesson. I walked out of the classroom and realised my students were the only ones outside. I saw the security guard, who asked me what was happening, and I suddenly realised my mistake. I had to go around, gather all of the reluctant kids up, and persuade them to come back into class, while desperately trying to figure out what to do with the last 15-20 minutes of the lesson when I had no activities left. I can’t remember what solution I came up with in the end, but I do remember that I was really embarrassed! What stupid things have you done as a teacher?